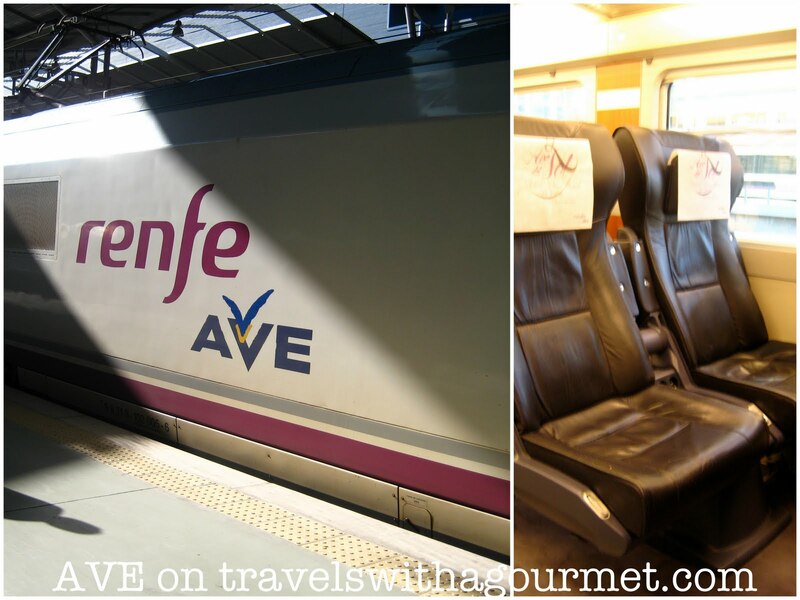 I almost forgot to post about the AVE and how it’s our favorite way to travel to Madrid. Quick, easy and super comfortable, its’ a pleasure to travel by train especially in these times of airport stress and flight delays. It takes a mere 2.5 hours by fast train from Malaga to Madrid and you arrive right smack in the center of town at Atocha station. The ride is quick and if you take either Preferente (Business) or Club (First), complimentary WiFi and refreshments are included in the fare. There is already an AVE from Malaga to Barcelona (via Zaragoza) and another one to Sevilla very soon. We choose train travel over air travel any day and hopefully, it will soon be possible to hop on a fast train to get around most of Europe.